NATIONAL HARBOR, Md. – Sept. 17, 2012 – Northrop Grumman Corporation (NYSE:NOC) today unveiled ReadyBlue™, a mobile app with the capability to give flight line personnel, military leaders and depot operations staff secure, real-time insight into aircraft readiness, fleet readiness and mission capability rates. 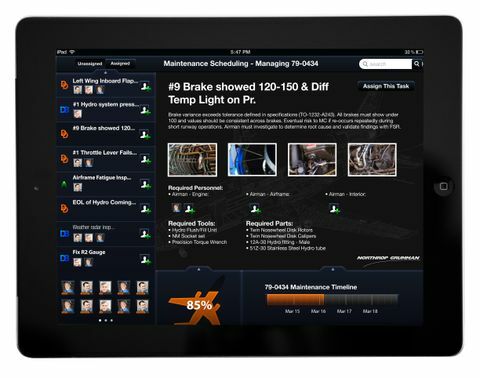 It has the capability to connect maintenance personnel on the flight line and the depot shop floor to an entire enterprise of fleet knowledge. "Our objective in developing ReadyBlue is to optimize fleet readiness and life cycle affordability by providing real-time fleet insight," said Kelly Whalen, sector vice president, strategy, business development and innovation, Northrop Grumman Technical Services. 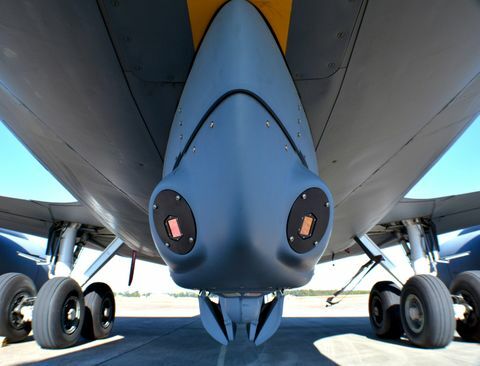 "We brought a lot of commercial technology to bear to harness information in nontraditional locations, like the minds of technicians and fleet support representatives around the world," Whalen added. "Using real-time collaboration, the vehicle's maintenance history, access to the full volume of technical data, and tying in the supply chain, maintainers have everything at a fingertip to resolve issues faster." 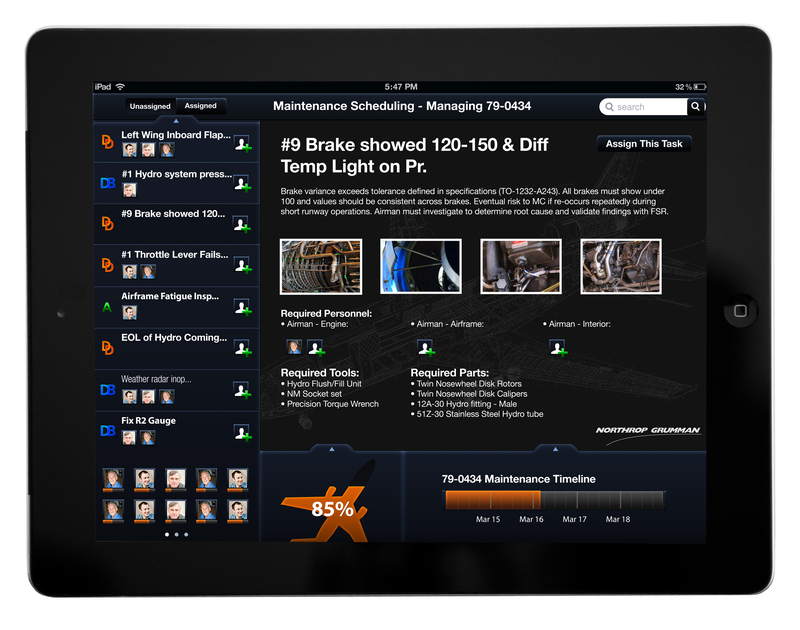 "It's transformative for a maintainer working on the flight line to touch on ReadyBlue's video conferencing function using Apple's Facetime and dialogue with a field service representative on another continent to solve a mechanical or supply chain problem immediately, or to chat with a crew chief who's just come off a mission and has an issue that needs to be solved right now," said Ron Blickley, director, fleet modernization, Northrop Grumman Technical Services. "And, for all concerned to know instantly – and share – the entire maintenance history of that aircraft, from every tech manual to service bulletin at the touch of the screen." "ReadyBlue's innovative Integrated Data Environment (IDE) toolset has the capability to securely integrate with enterprise databases to rapidly manage work scheduling, C-check work card task assignments, repair part orders and technical manuals search queries and displays. ReadyBlue is the enabling technology to provide paperless fleet management to any logistician in the world," Blickley said. 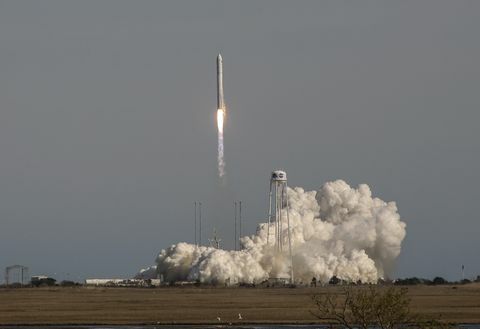 Northrop Grumman developed ReadyBlue TM with its product development partner, 3Pillar Global, a Fairfax, Va.-based small business. 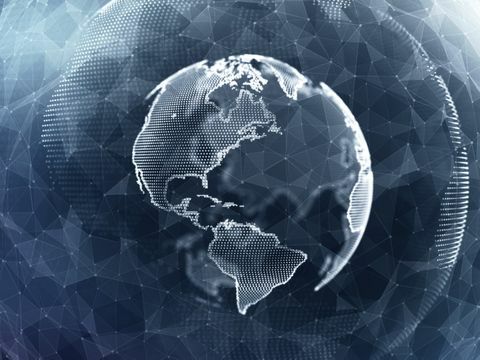 3Pillar Global builds software that enables enterprises to turn data into value. We do this through our disciplined approach to innovation and our deep expertise at the intersection of disruptive trends such as mobile, cloud, and big data. Through a collaborative and fully integrated experience, 3Pillar navigates clients through technology challenges to build reliable, award-winning products for content rich industries such as media, information services, education, and healthcare.